What’s your #1 leadership priority? The article below by Randy Conley reminds you to walk your leadership talk by making the time for your #1 business priority. Is there a leader out there who isn’t busy? Is there anyone who is a little bored at work and is looking for more to do? Um, I don’t think so! I don’t know about you, but I’ve got plenty on my plate. Formulating plans and strategies for the year ahead, working on team members’ performance reviews, putting out the inevitable daily fires that erupt, and attending meetings, meetings, and more meetings. Sound familiar? 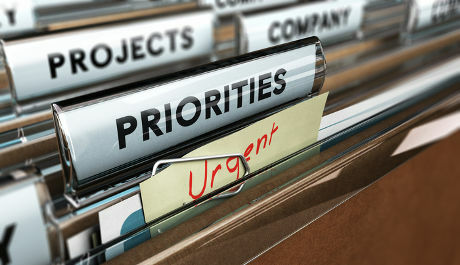 There’s no shortage of priorities calling for our attention. What does your calendar tell you about your priorities? Does that information fit with what you believe is most important to the success of your business? What can you do to improve that alignment? Used with the permission of Randy Conley, Vice President of Client Services & Trust Practice Leader for The Ken Blanchard Companies. You can find more information about Randy on his website, Leading with Trust.